Rainy days make us all crave for pakodas, bhajiyas, samosa, and that perfect cup of tea. The samosa chaat is sumptuous and sufficient for two people. And their amazing kulhad tea is to die for! But what really makes Chaayos special and better than the rest is that they prepare their snacks as and when the order is placed. They make an effort to serve you fresh and hot food. 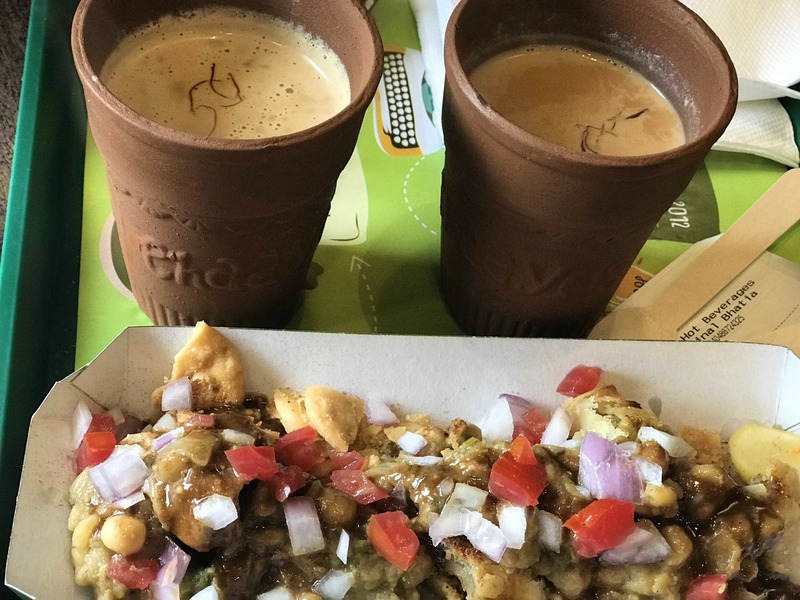 Chaayos is popular for its amazing range of tea. The Kahwa Tea is definitely worth a try. With a cool and relaxed ambience, one will never have a dull moment here.